An increasing number of clients choose to outsource the hosting of their Maintenance 4.0 solutions, instead of investing in their own servers and hiring the IT resources required to maintain them. On-premise license purchase: in this traditional model, the Siveco software license is purchased and installed on a server managed by the client. Software-as-a-Service (SaaS): the usage of the system is provided as a service; Siveco software is licensed on a subscription basis and is hosted on Siveco's secure cloud platform. Siveco customers can choose the deployment model that best corresponds to their needs, in compliance with their IT policies. An increasing number of them choose to outsource the hosting of their Maintenance 4.0 solutions, instead of investing in their own servers and hiring the IT resources required to maintain them. This is true not only of smaller companies without a strong IT department, but also of larger corporations with very well-established in-house IT team. Siveco partners with Aliyun (AliCloud), a subsidiary of Chinese internet giant Alibaba, to provide fully-managed mission-critical cloud computing service. Our cloud servers feature self-service management, data security, advanced features such as automatic recovery and preventing network attacks. They are designed to help streamline development and deployment process, reducing operation and maintenance costs, build on-demand extension of site structure, so as to adapt to the fast-changing Internet application features. 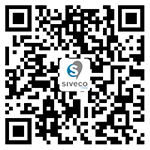 In all cases, the Siveco support team remains the customer only point of contact. Siveco provides full operation services for customers' Mission-Critical Servers (i.e. our servers run systems supporting our customer's daily operation). The Siveco applications – bluebee® cloud, bluebee® and Coswin – themselves (bug fixes, upgrades, users support) are maintained under the Siveco Enhanced Support Contract, which also covers utilization audits. This approach is totally transparent to end-users, who will simply use an internet-based system. No IT support is required from customers, with the exception of ensuring that end-users computers and mobile devices have correct access to the internet. No administrative access to the server will be given to the client, as none is needed. In the absence of major natural disasters or other acts of God, a 99.999% server availability is guaranteed for cloud servers. In case of hardware failure, the system is automatically migrated to different physical servers while retaining the same IP address, ensuring minimal downtime and users' impact. The use of large-scale distributed computing systems, with multiple copies of data, ensures that damage can be recovered quickly. Data backups are performed daily and 7 days of backups are retained. The firewall is designed to prevent ARP attacks, MAC spoofing, to provide effective protection against DDoS attacks, to scan for port intrusion, Trojan horses and other vulnerabilities. The latest anti-virus technologies are implemented on all servers. The data center benefits from multi-line connections to both China Telecom and China Unicom networks, ensuring high-speed for users throughout the country. Dedicated bandwidth effectively solves the bandwidth bottleneck, unlike traditional bandwidth sharing. For cloud servers, server configuration can be changed elastically, directly online by Siveco personnel, to adapt to future capacity needs (data storage, sites and users). Such extension is done without system downtime. All system data remains the exclusive property of customers and can be exported at any time by authorized end-users in Excel format using bluebee® cloud or Coswin built-in functionality or by Siveco upon termination of the hosting contract (no fee applies for this service). In addition, the application software itself can be migrated to other servers (other hosting company or in-house data center) if customers wish to (installation fees apply). Can my Siveco solution be hosted? All Siveco solutions can be hosted: bluebee® cloud, bluebee® and Coswin 8i. Experience shows that the direct cost of properly operating a CMMS server, including reliable backup, is much higher than most people expect. No IT personnel cost (IT resources is not free: salaries, welfare, overhead, turnover, etc… in large companies, the IT department may also charge a high hourly rate to business units). No inefficiencies due to multiple points of contacts and "blame game" between data center, IT team, hosting service company, software supplier, end-users etc. All in all, hosting by Siveco is usually cheaper than other alternatives (in-house hosting or third-party hosting). Contact us for a quote!